Amazing how much talk it is is about the weather this summer. Many people complain about how windy and cold it is. But those who like to pick blueberries, mushrooms, etc. enjoy great harvests! A lot of rhubarb, currants, strawberries has grown in my garden plots this year. 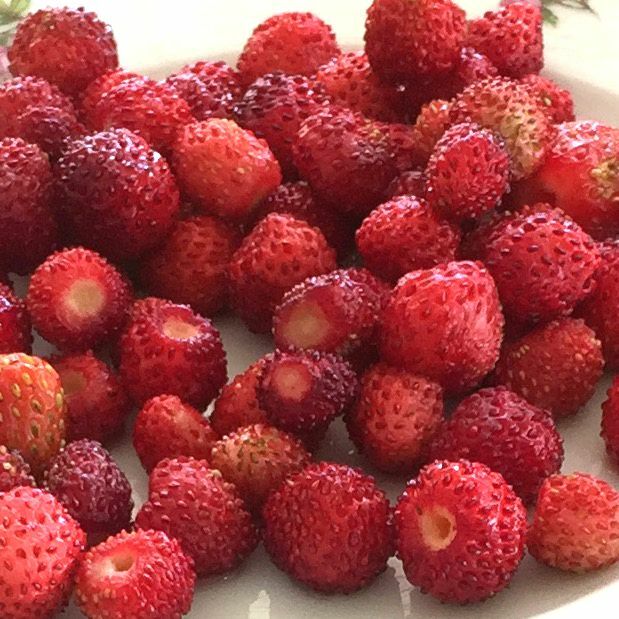 Wild strawberry is my favorite! But the 20 liters of rhubarb juice mother and I did are also very tasty! It's probably best just to realize that when you live in Sweden some summers are like this and some other much sunnier. You simply just have to like it. I can at least say that I've got more done indoor this summer than what I'd done if the sun and heat have been here. But now it seems like it may come, the heat and the sun I mean. Lovely! And then it fits well to introduce August month's offer in my store. 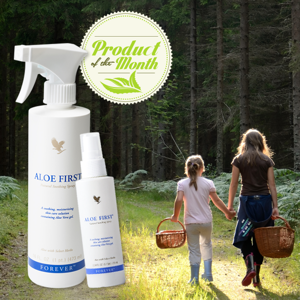 The spray is ideal for dry skin, it relieves mosquito bites and sunburn that has taken too hard. A lifesaver you might say! That sounds like a good product. May The Lord be with and bless you on your tours. Keep Christ in Christmas. Three months and three weeks Jesus birthday.